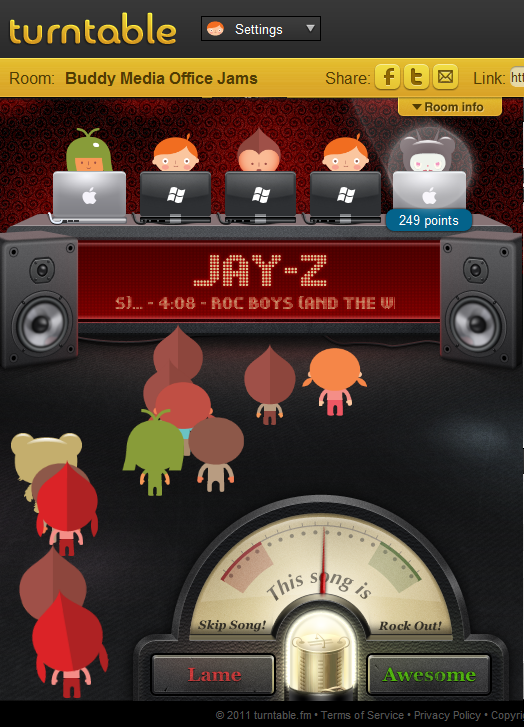 Turntable.fm (like Listening Room) is a new music-based social media service that’s growing in popularity. You can share music with others in real time by creating a room and inviting friends in to listen or play songs. What’s really cool and useful though is that you can join another room full of strangers with similar music taste and find out about a ton of new stuff. It is like being at virtual concert.